Evidence based research is the foundation of all Global March’s advocacy work. To ensure that our work remains credible and worthy of influence, we undertake on- ground and secondary research to build holistic knowledge on the issue of child labour, trafficking, slavery, and education that is significant for taking effective action. 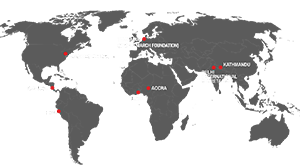 Global March thus collates, manages and disseminates researches, good practices, policy papers, analyses, briefings and lesson learnt on the issues of focus, to create a data and information base for advocacy, experience sharing, training and capacity building of various stakeholders and for public awareness. In this endeavour, Global March enables exchanges with child labour advocates at the local, national and international levels, and develops policy papers, researches, advocacy toolkits, manuals and other knowledge materials that is used by national, international and governmental organisations to promote children’s rights.